Things move swiftly in the theater world. That’s something Julia Hren ’18 can attest to. 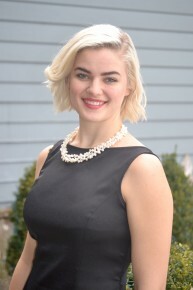 Last spring, the Theatre Production and Strategic Communications major was recommended for an internship at the Indianapolis Reparatory Theater (IRT). Risa Brainin, the director of the production The Curious Incident of the Dog in the Night-Time,needed an assistant. Hren said she was interested. Three days later, Hren was sitting in on auditions. It only got busier from there. Rehearsals began in late August and continued until opening night on September 22. (The show ran through October 14.) Somehow, Hren balanced the nine-hour-long rehearsal days with a full load of classes at Butler. The experience came with struggles though—like a relapse of mononucleosis. Still, Hren said it was all worth it. The Incident, which won the 2015 Tony for Best Play, tells the story of an autistic teenager, Christopher, who witnesses a mysterious event and goes on a quest for the answers. “The show is really moving,” she said. Perhaps even more so to Hren, who has been a part of the production from the beginning. She also feels more prepared for life after Butler. So, what’s the talented senior up to in the coming months? Probably recovering from mono and planning for graduation. 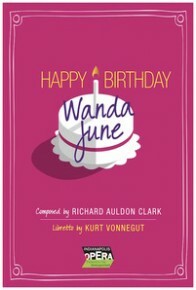 An opera version of Kurt Vonnegut’s Happy Birthday, Wanda June, written by Vonnegut and Butler Director of Instrumental Activities Richard Auldon Clark, will have its world premiere performed by Indianapolis Opera, September 16-18 at the Schrott Center for the Arts. Season tickets for the Opera begin Monday, May 2. Single ticket sales start on Monday, August 1. 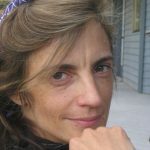 Clark’s work with Kurt Vonnegut began in the early 1990s when they created new works based on Breakfast of Champions, Mother Night, Cat's Cradle, and Fates Worse Than Death. “Kurt Vonnegut was not only a great friend and collaborator, but also the most significant influence on my professional life,” Clark said. Indianapolis Opera will engage Metropolitan Opera Stage Director Eric Einhorn to direct the premiere. Einhorn will work with set designer Cameron Anderson, lighting designer Shawn Kauffman, and costume designer Candida Nichols.